The Board of Directors is the governing body of the European Chamber of Commerce in Cambodia and is composed by 13 members: 6 members are nominated by the founding associations (CCIFC, ADW and BritCham) and the remaining 7 are elected each calendar year, during the Annual General Meeting by EuroCham members with voting rights. The Board of Directors is responsible for guiding and directing the activities of the Chamber and to oversee its financial transactions. It is also in charge of the implementation and promotion of the policies of the Chamber and ultimately the approval of new members. 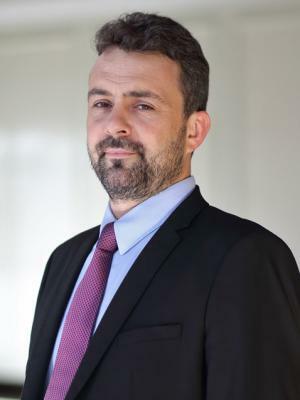 French Entrepreneur, Arnaud first arrived in Cambodia in 1994 as a postgraduate cost controller at the Sofitel Cambodiana Hotel in Phnom Penh. Having witnessed the encouraging growth of the hospitality industry in Cambodia he incorporated an import-export and distribution business serving retailers, hotels, restaurateurs and created a French fine-dining restaurant and gourmet retail outlet. Arnaud subsequently owned and co-founded the Amanjaya Pancam Hotel, KWest restaurant in Phnom Penh and Cyrano, a French fine-dining restaurant in Bangkok. Recognizing the increased demand for refined and high-class hospitality in Phnom Penh, he embarked on several successful ventures. They included the launch of Malis Restaurant in 2005, the first restaurant to specialize in contemporary Cambodian cuisine, the relocation of Topaz as a French fine-dining restaurant, the creation of Khéma Gourmet Shop, Arunreas, a small luxury hotel in Phnom Penh and more recently launched Malis Restaurant in Siem Reap. 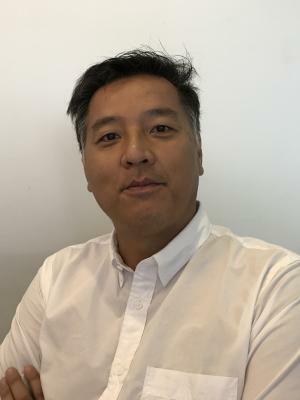 From 2006 to 2009, Arnaud became a partner and Managing Director of two CityStar Investment Fund Companies managing various real estate and hospitality holdings within Cambodia. He is currently the Chief Executive Officer of the Thalias employing over 400 people. 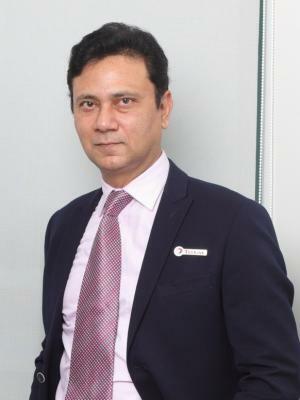 He was President of the French-Cambodian Chamber of Commerce in 2014 and 2015, Vice President of EuroCham from 2014, 2015 and 2016, the executive treasurer of the Cambodia Hotel Association and Cambodia Tourism Federation. Arnaud Darc has also been awarded the title of Knight of "L'ordre du Mérite National" by the French government. Guillaume Massin is Partner, Cambodia Managing Director and Deputy Head of the Regional Real Estate Practice Group. His practice covers Property, Corporate and Commercial, Criminal Law and Procedures and technical assistance consultancies. Guillaume is team leader on a number of major real estate and agriculture-related projects in Cambodia. He has played an important role in landmark deals including advising Ciputra in the development of a multi-million dollar integrated community in Phnom Penh, has advised international groups on land use rights and construction permits, has assisted banks and private equity funds for the structuring of property projects, supervised the acquisition and structuring of hotel and resort projects, including negotiations with the Royal Government of Cambodia for the lease of state land to investors, worked on land development projects for factories in Special Economic Zones, as well as advised numerous international and local investors in the retail and construction sectors. Tassilo has worked in Germany for a wide range of publishing companies, where he has specialized in photography and magazine development before traveling to Cambodia in 2001 at the age of 32, when he launched a first, and still operating, hospitality business. In 2006, he and a partner launched Southeastern Globe Communications, a publishing company based in Cambodia. Today, the business' flagship publication, the Southeast Asia GLOBE is distributed in 7 regional markets and is the only publications in Asean covering all member countries. In 2014, FOCUS ASEAN is being launched as a quarterly publication, a website and application, covering hard economic news and features on Asean and its path to the Asean Economic Community, to be achieved in the coming years. 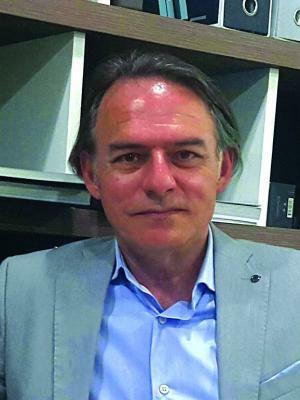 Tassilo has been at the helm of the ADW, the German Business Group in Cambodia and a key founding member of Eurocham Cambodia, for the past 3 years. Matthew Rendall, Managing Partner. Head of Property & Real Estate Practice Group, is a commercial lawyer practicing in Cambodia since 1994. Matthew advised the government on the implementation of the new property registration and ownership laws. He is considered by many to be the country’s leading legal authority on property & real estate. Matthew has a law degree from University of Sydney. Youdy is the firm’s Practice Leader of the Corporate, Banking & Finance and Commercial Litigation practices. He is currently a panel lawyer for numerous foreign banks operating in Cambodia. His expertise includes project finance, off-shore financing, derivatives and other related complex financial products. He provides advice to some of the largest financial institutions and securities firms in Asia relating to their business expansion and entry strategies into Cambodia. Youdy recently counseled a large Japanese electronics manufacturer with their USD65 million investment project establishing the first electronic large-scale mass-production facility in the country. He also previously counseled one of Cambodia’s largest conglomerates on the acquisition of a USD60 million turn-key brewery plant and assisted a foreign fund in a transaction for the partial debt assignment of the largest loan ever granted in the telecommunications sector. Youdy is one of the first commercial arbitrators admitted to the National Arbitration Center of Cambodia and a Member of the Singapore Institute of Arbitrators. Currently, Youdy is serving as an executive board member of the National Arbitration Center of Cambodia and he is a former Secretary-General of the Bar Association of the Kingdom of Cambodia. Youdy has been consistently ranked a leading lawyer (first tier) in Cambodia by International Financial Law Review (ILFR 100), Asialaw Profiles and Chambers & Partners’ Asia Pacific. 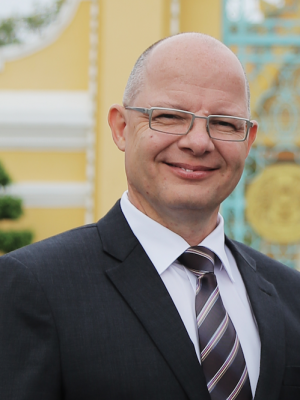 He has been praised for being a “detailed and meticulous” lawyer who specializes in foreign investment, banking, corporate and commercial litigation and for his “in-depth knowledge and understanding of Cambodian law,” and his “hands-on approach and ability to turn things around quickly.” He is fluent in Khmer, English and French. 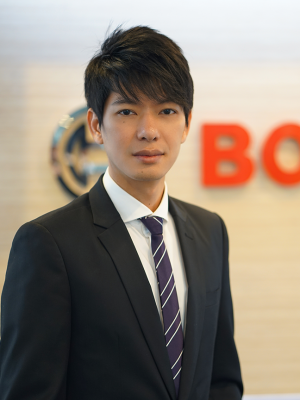 Company: KK Italy Trading Co., Ltd.
Company: ROBERT BOSCH CO., LTD.
Serge Pak is a French citizen, and I am registered at the French Embassy.